In a report recently published by customer experience research and consulting firm, Temkin Group, large firms showed lack of employee engagement efforts. The report entitled, State of Employee Engagement Activities, 2013, illustrated that only one-fourth of employees within large firms are highly engaged. Generally, businesses correlate ROI to products, services and strategy. 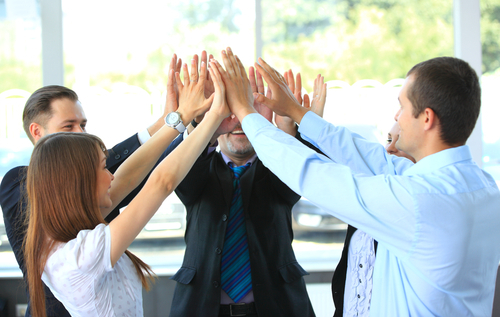 Employee Engagement is often overlooked and underappreciated by upper management. However, studies have demonstrated that employee engagement is extremely valuable and necessary in retaining employee drive and work efficiency. Furthermore, high engagement is driven by six factors; quality of life, work, people, company practices, total rewards and opportunities. Promoting a positive work environment is essential for every business. Your workforce is your best asset and consequently, can become your greatest award. World Wide Specialty Programs has always had a singular purpose – to design, develop and provide staffing insurance products for the staffing industry. Working with over 2,000 insurance brokers nationwide, we know the staffing industry better than anyone, and can provide great options for your staffing industry insurance needs. Contact us today for more information about our staffing agency insurance solutions. (877) 256-0468. Insurance, Staffing Agency, Staffing Insurance employee engagement, employee wellness, Staffing, staffing agency insurance, Staffing Insurance, the importance of employee engagement permalink.